Several members of our INKubator family are achieving success with their writing goals. In this series, we want to let them share what they’ve achieved and how they feel about it. Of course, for us it’s an extra chance to show these INKlings how proud we are of them. Our first victim to pin to the wall is poet Jeremy Mifsud. He’s on fire and the publication acceptances are rolling in. We’re so proud of how much his skills and confidence have developed in the seven months he’s been with INKubator. In addition to his poetry, we’ve tempted him over into the world of fiction. He’s an excellent critter when it comes to feedback on other’s work, and he’s supportive in helping others match their work to possible markets. All in all he’s a vibrant and essential member of our INKling family and we’re proud to call him friend. Maltese-born Jeremy Mifsud is a queer, autistic poet, currently reading for a Masters in Cognitive Science at the University of Malta. Social ineptitude becomes a catalyst for his art as he weaves unsaid words into poems and short fiction. He has self-published a full-length collection Welcome to the Sombre Days (2018) and has work published in several literary magazines. 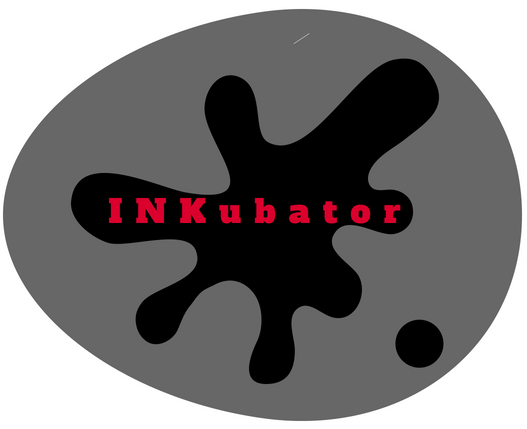 How do you feel your membership at INKubator contributed to your success? The members at INKubator have pushed me to become more dedicated to writing. I’ve been dedicating more editing time to each piece, and I’ve learned some tricks on how to edit my poems and stories better. The members’ encouragement pushed me to submit poems more frequently, and I’m so glad for that! Do you have any advice based on your experience so far for other writers still struggling for acceptance? Read the journals to which you submit. Reading prior issues will help you figure out if your writing belongs in that publication. And if it’s rejected, remember editors have tough calls to make and have to reject many pieces they love. Whatever you do, keep trying and don’t self-reject. Tell us a little about one of your current WIPs. I’m currently running the final edits on a chapbook, which is based on poems inspired by observations of bus passengers and introspections I had while travelling by bus. The mock title is From the Backseat of a Bus. I’ve got my eye on a couple of presses and will be submitting the manuscript as soon as I’m happy with the final polish. What poem have you read this year that still lingers in your thoughts? Considering we just started 2019, I’ll go with my favourite poem of 2018, Kalvin Marquiz’s “Dreams of Mississippi Burning,” which appeared in The Adroit Journal. I love the poem and all that makes it: content, form, imagery. It’s phenomenal through and through. Say one day you become a famous writer and your works become the object of academic study, what message would you like people to know about these poems to clear up possible speculations they might make? I firmly believe in the reader’s ability to interpret literary works. We all connect to stories and poems in different ways. “Skyline” and “Looking for Beauty” are environmentalist and can apply to thousands of instances beyond Malta. “Thinking of You” and “A Queer Hymn Sung by an Atheist” are more personal, but it doesn’t exclude readers from identifying and relating through their own experiences. What are your favourite literary magazines and journals? It’s a tough choice. My favourites would have to be Glass: A Journal of Poetry, Foundry and Homology Lit. The last has only recently published their first issue, but it won me over so fast, with phenomenal poems by the likes of Logan February, Mateo Lara and Wanda Deglane. Which books are your favourite? I’m picking three books: The Rosie Project, Call Me By Your Name and The Poet X. This answer made me realise that each of these books spectacularly showcase different aspects of my core identity: autism, queer and poet (respectively). What advice would you give a writer just starting their journey? Read, write and edit. Everything is essential, and writing is a craft that you can never learn fully. Don’t let insecurities hold you back, because we learn through trying and being aware of what we produce. What is the most surprising/interesting thing you discovered while writing? I never knew how cathartic writing could be. It’s effective in helping me deal with issues, and hopefully help readers relate and understand themselves better too. What quote from a book/story/poem/article holds a special place in your heart? I have to go with a quote from “Call Me By Your Name”: “If not later, when?”, or really, any line involving Elio’s analysis of the word, “Later.” Oliver’s voice haunts me to this day. Way to go, Jeremy! Really proud of all the progress you’re making. I predict much more to come in the year ahead. I could hope, but also, I could continue working hard! Hope we all get more success this year! It’s so exciting to see someone I know through Discord and social media getting traction with his work. This is absolutely wonderful. It really does take dedication to the craft, the desire to get results, and an unshakable commitment to submitting work and pushing past those inevitable rejections. Great work, Jeremy! I really enjoyed reading the interview. I really appreciate the love and support I’ve been receiving. It’s a lot of hard work, but it’s important to have people who understand and continue to push for the best we can create. It seems like whenever I read one of your poems, Jeremy, I’m always impressed by it. You’re definitely getting some excellent momentum and notice as a poet. Good luck!